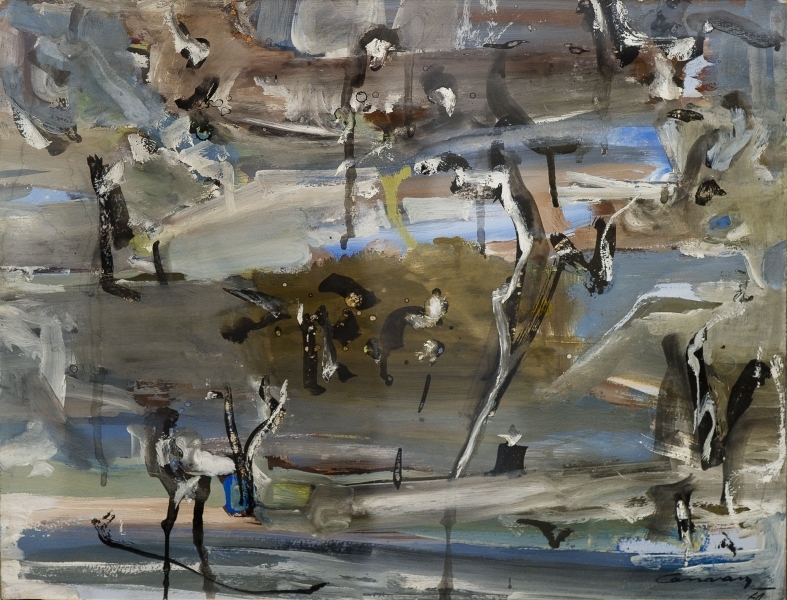 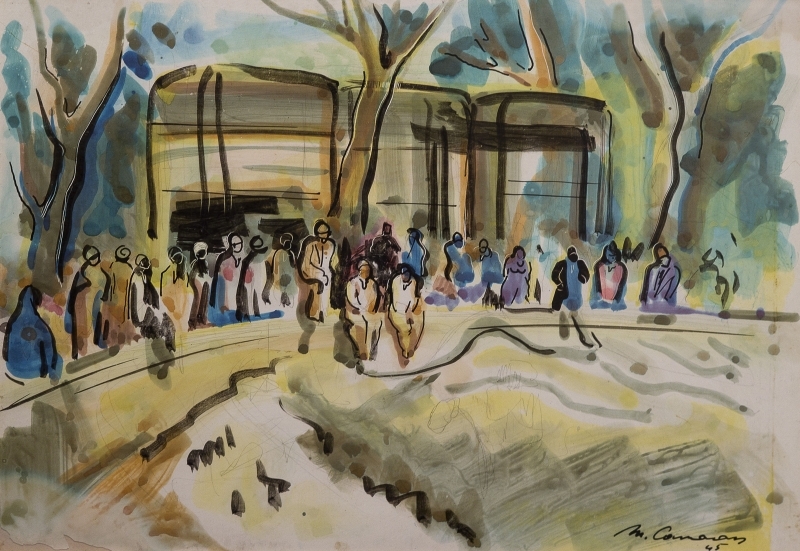 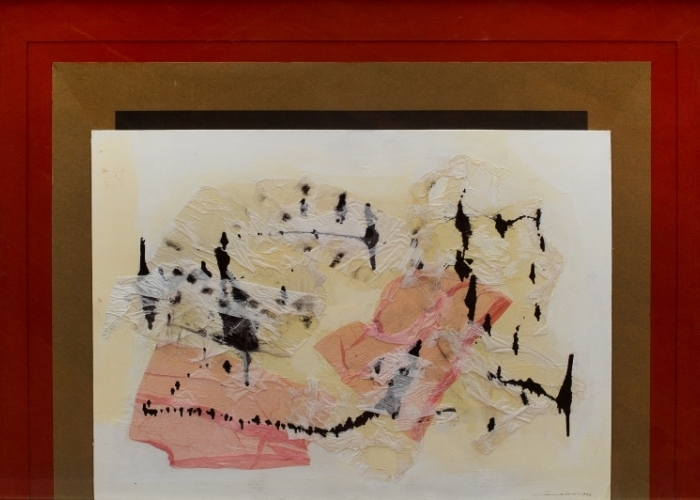 Al Masar Gallery has the pleasure to announce the start of its 5th season with a much awaited unique exhibition by the late star of the 20th century Egyptian art, Mounir Canaan (1919 – 1999). 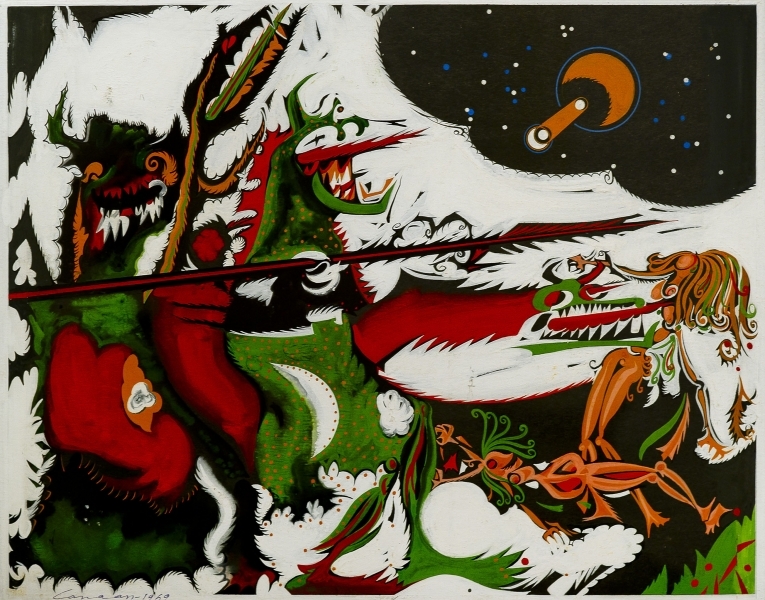 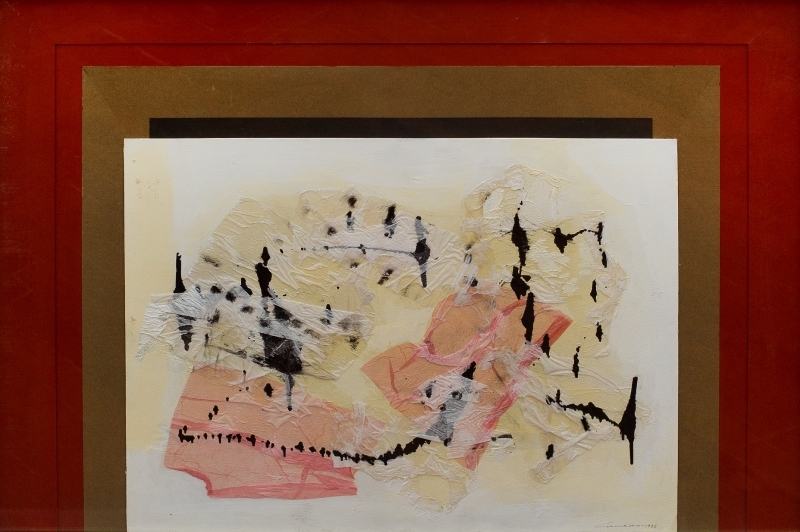 “The Last Statement of a Revolutionary Artist” is a solo exhibition by the late pioneer artist Mounir Canaan (1919 – 1999). 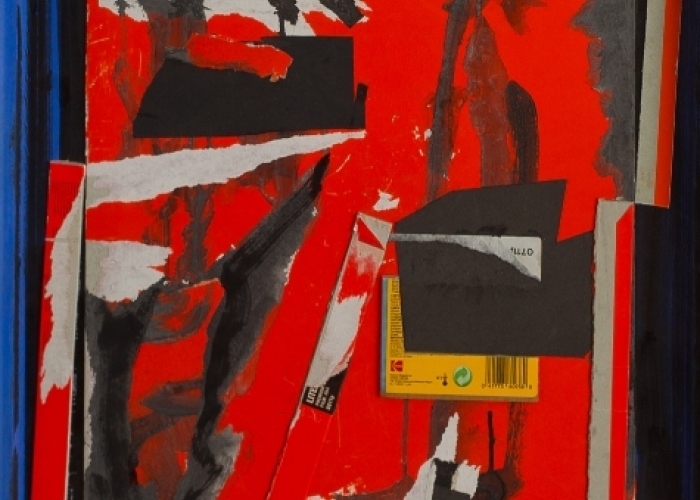 Canaan is a pioneer of Modernism and abstract art in Egypt and the Arab World and is a powerful artist whose body of work and style was always ahead of its time and later appeared in the international art scene. 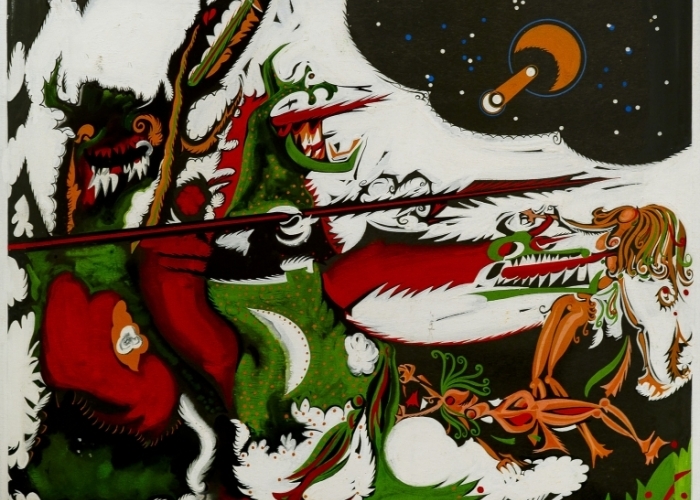 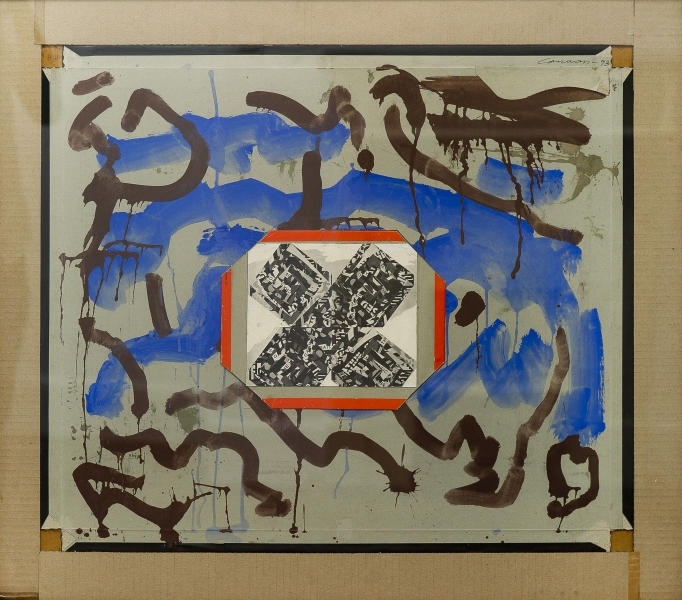 The exhibition is featuring the “X Condition” Collection which is produced post 1967 war as well as showcasing his masterpieces from the 1960-90s. 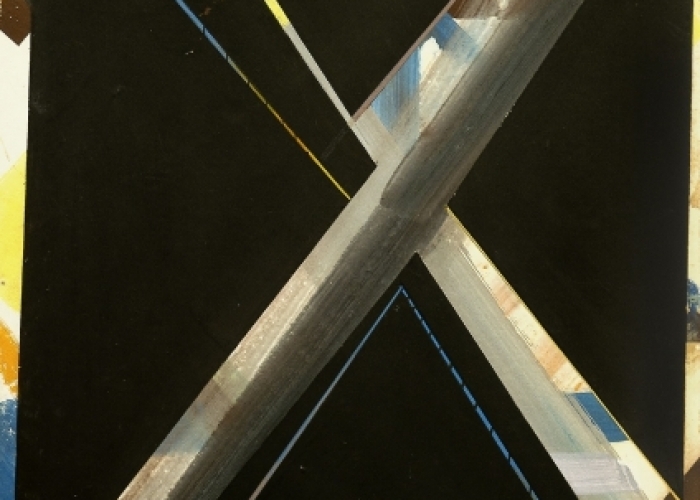 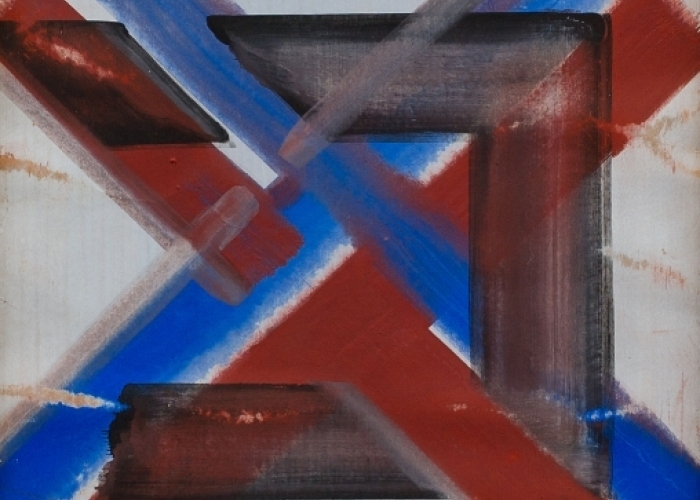 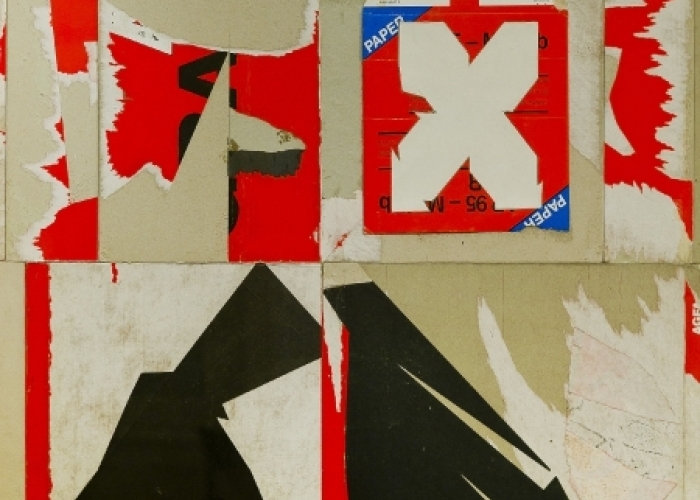 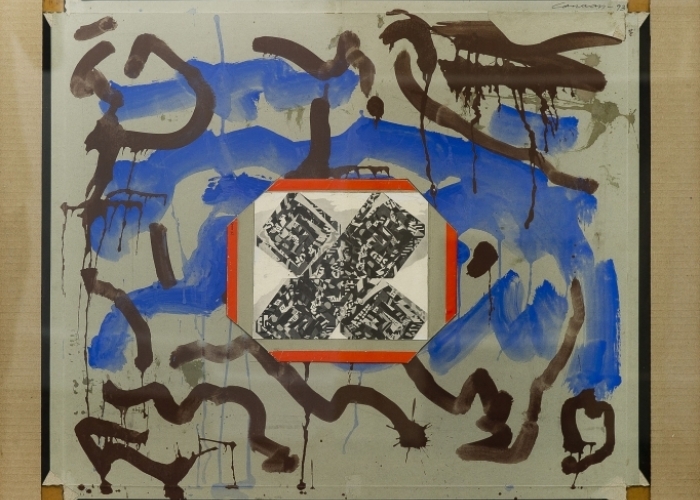 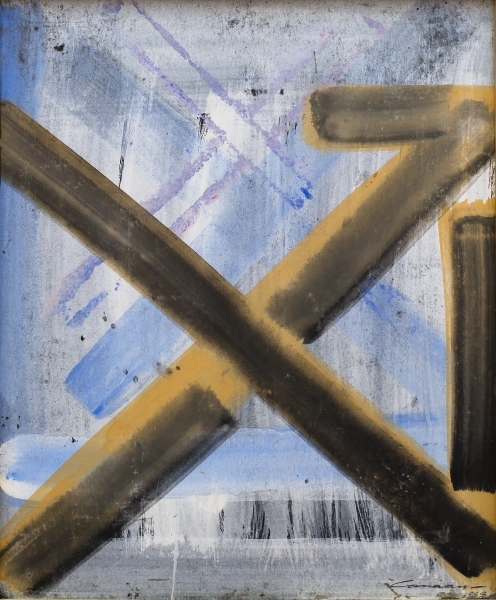 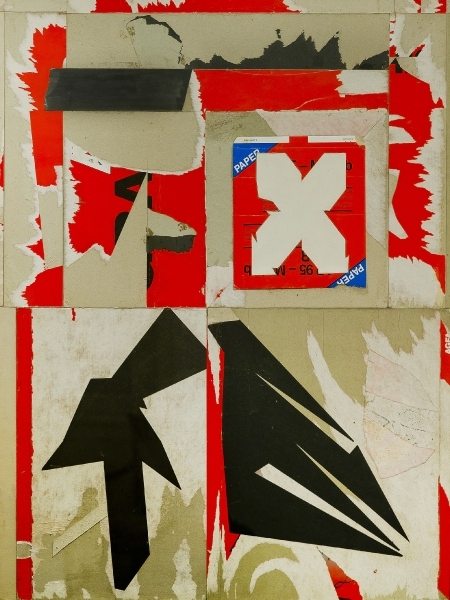 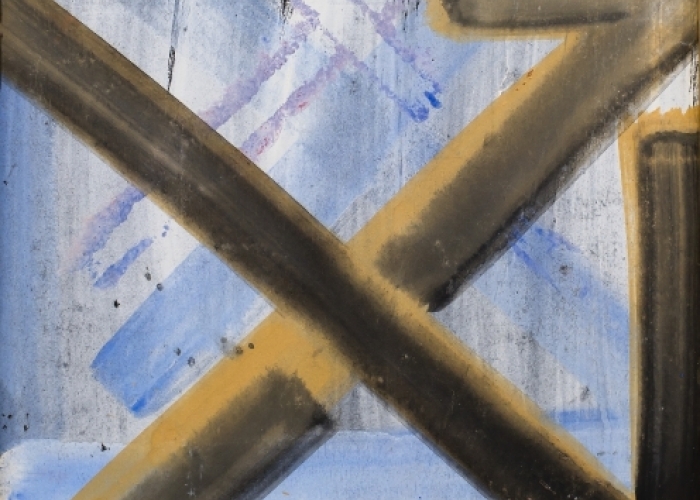 “X Condition” Collection (1967 – 1969) is where the sign of rejection started appearing in his works post 1967 war. The artist said “After failing to paint, I would wipe out many paintings, or try to erase or assault them, but on looking at them once more, I discovered that these assaults were what I had been looking for. 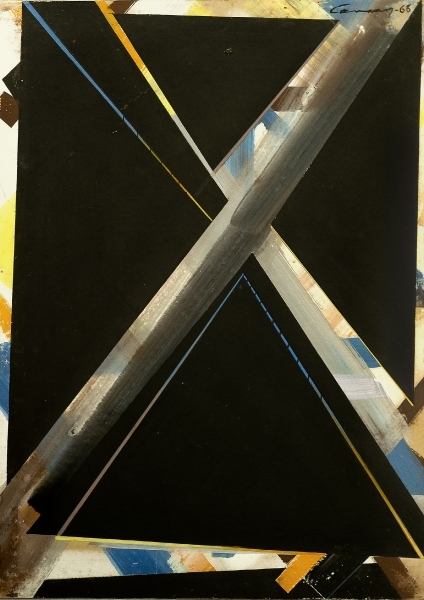 I gave an exhibition on rejection where paintings were displayed on the letter “X”. 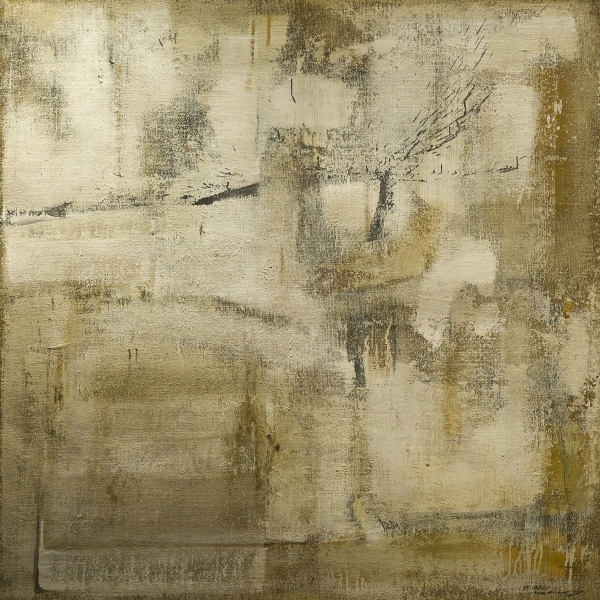 My paintings came out powerful and expressive”. 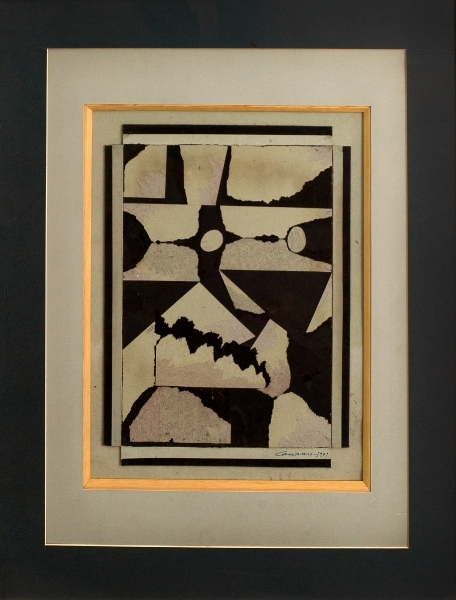 Such geometric design prevailed as a theme in his works for many years until he passed away. 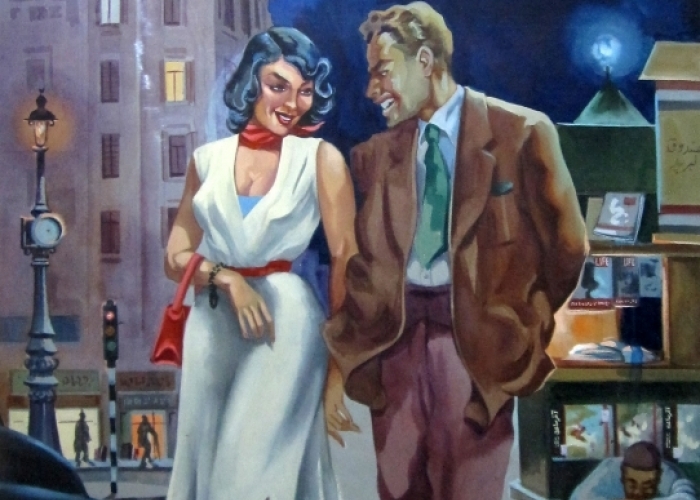 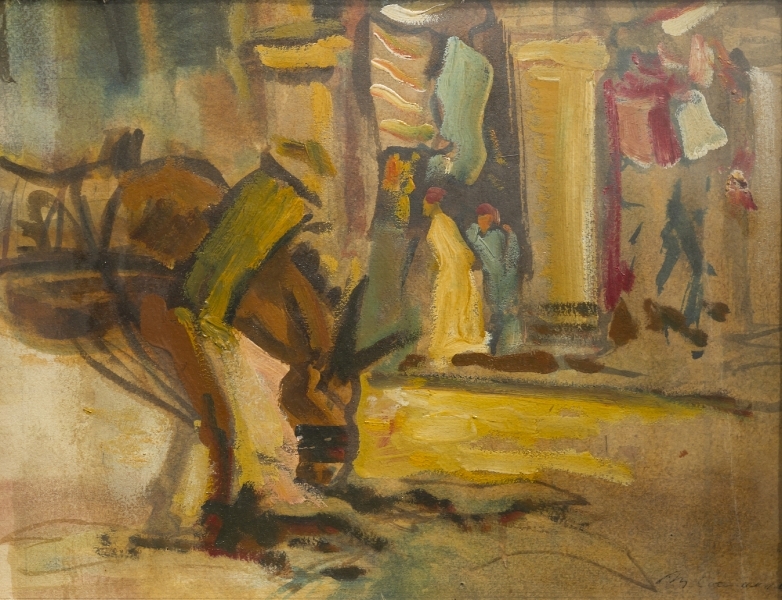 “ALBAWAKI” Collection (1942 – 1946) is one of Canaan’s earliest collections and was the most prominent features of the forties displaying pictures of cafes, popular districts, natural sceneries, and still life where Canaan used various materials, drawing with charcoal, pastels, watercolors, and oil paints. 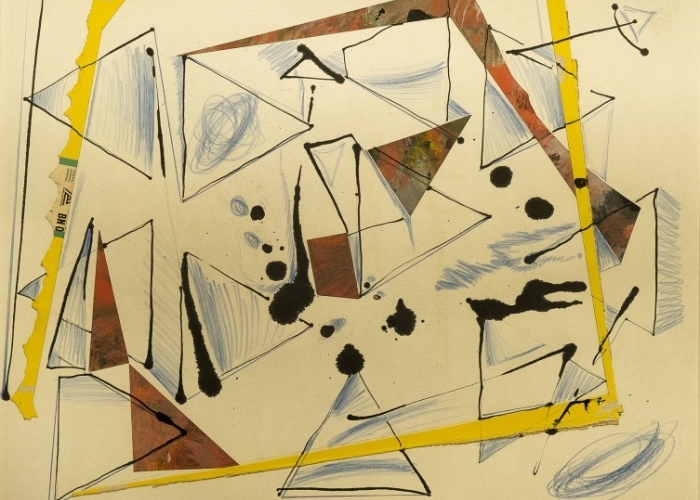 These works document his early abstraction and expressionism. 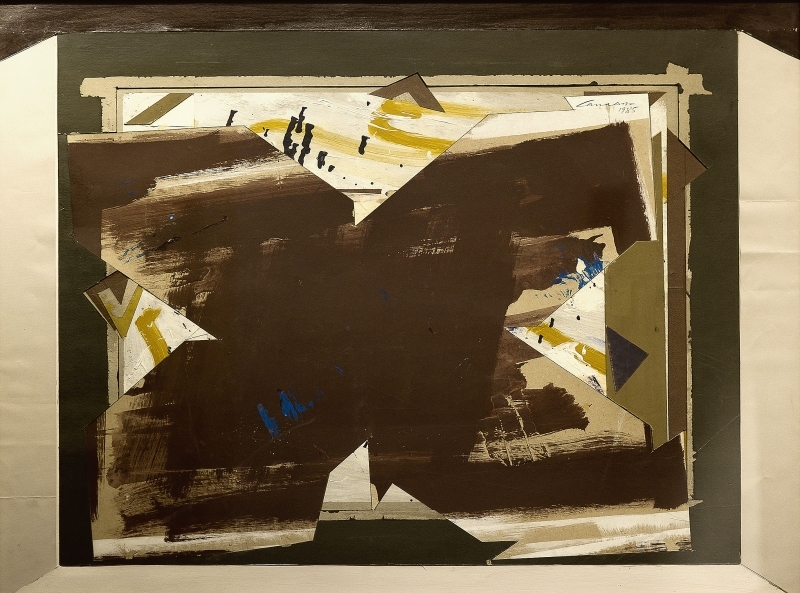 It was also the same time where he started his “Nature” Collection (1942 – 1956) which included realism paintings. 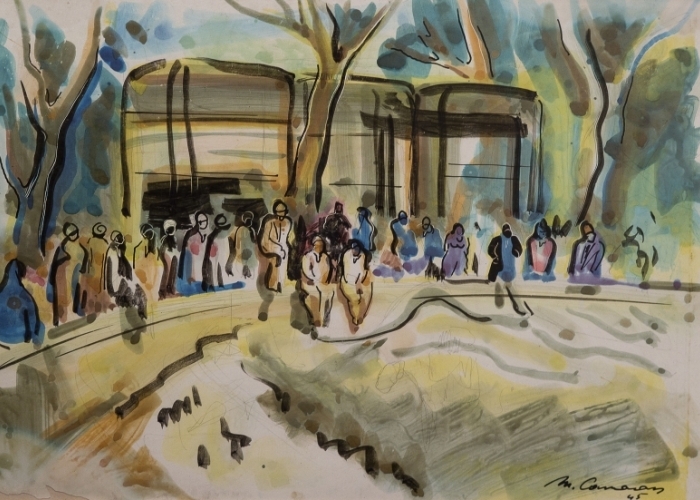 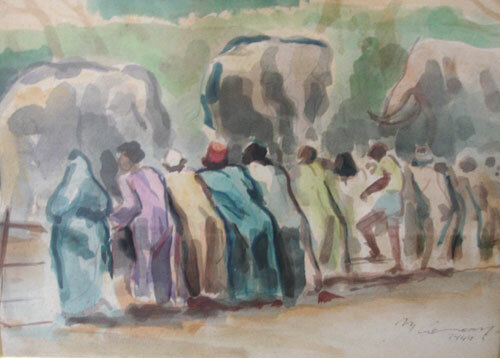 Canaan registered the “Nubia” Collection (1956 – 1959) consisting of Nubian sketches which led him quickly into abstraction which happened abruptly in 1946. 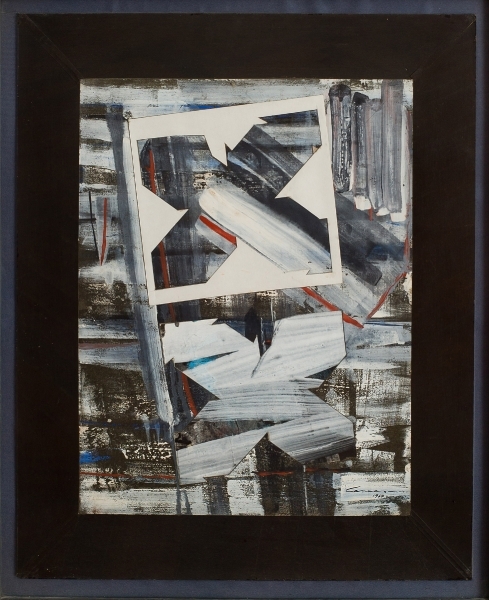 In 1959, the subject disappeared altogether and the material prevailed reaching a technique of partially erasing the original painting or writing and re-painting over it adding new touches that hardly shows what lies beneath. 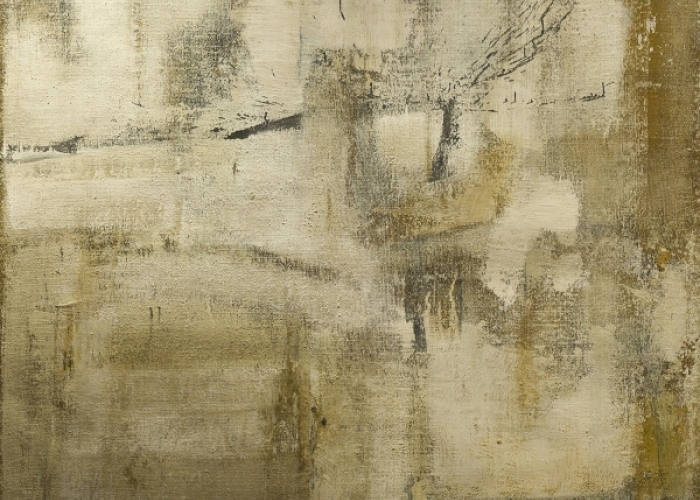 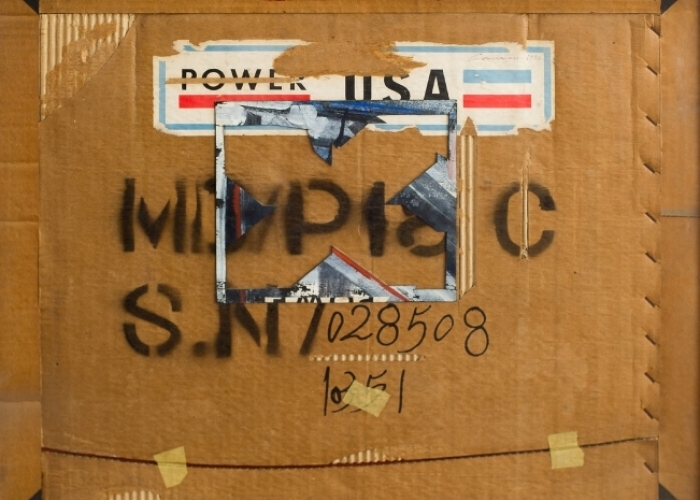 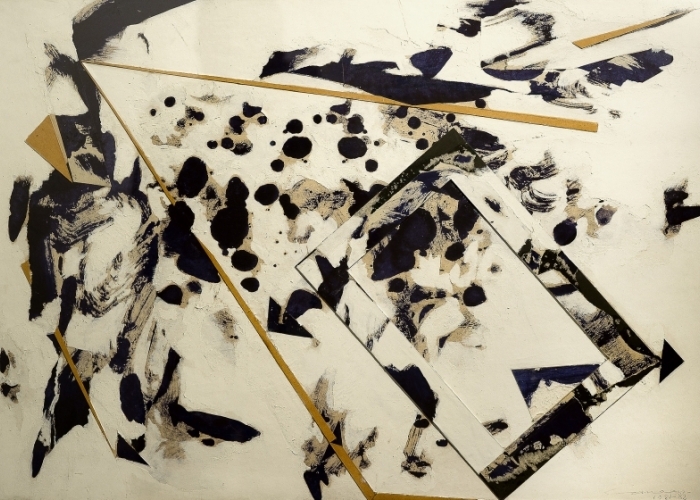 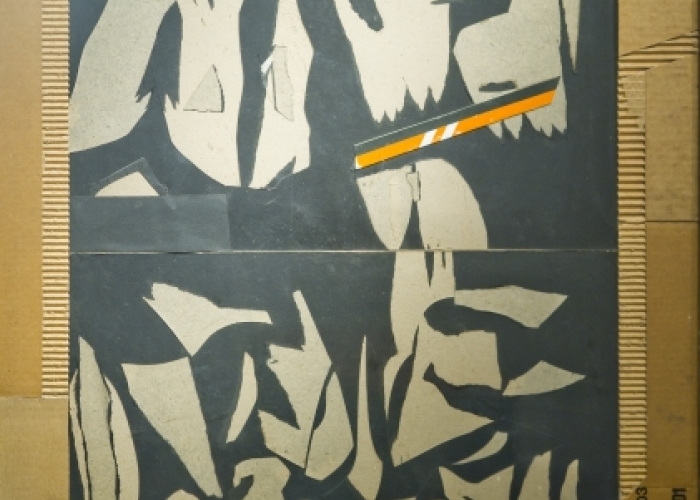 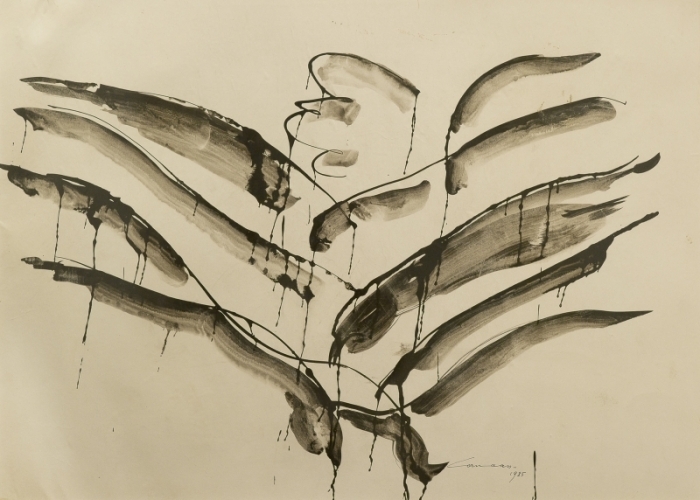 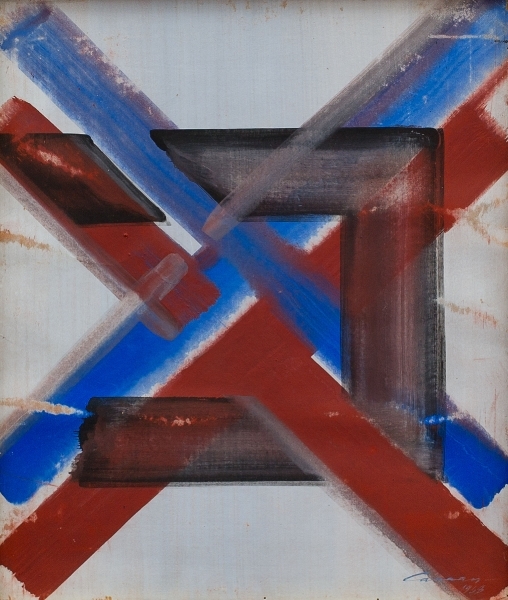 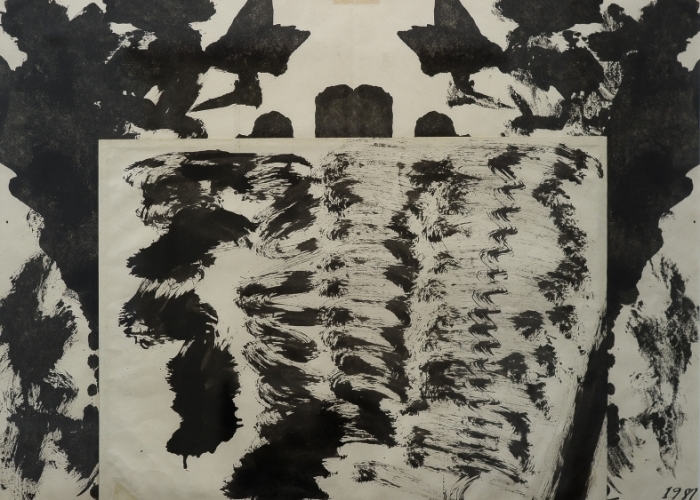 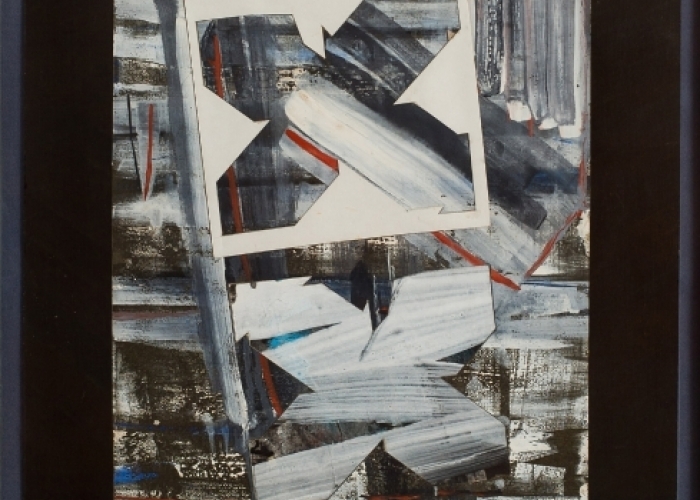 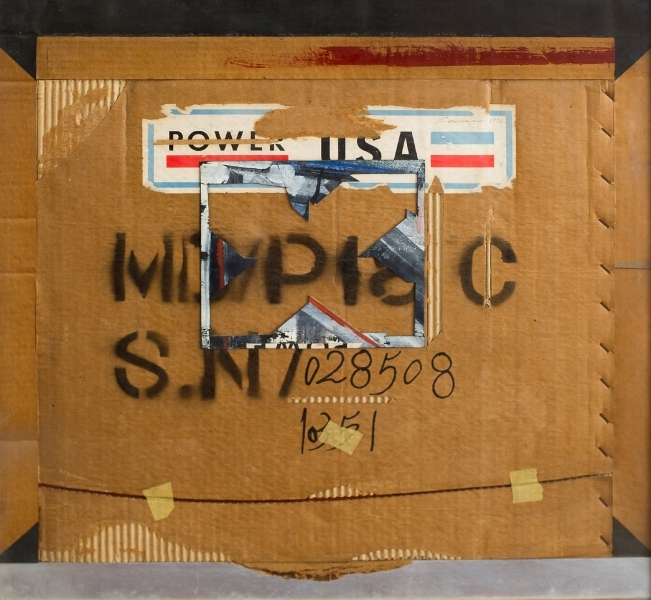 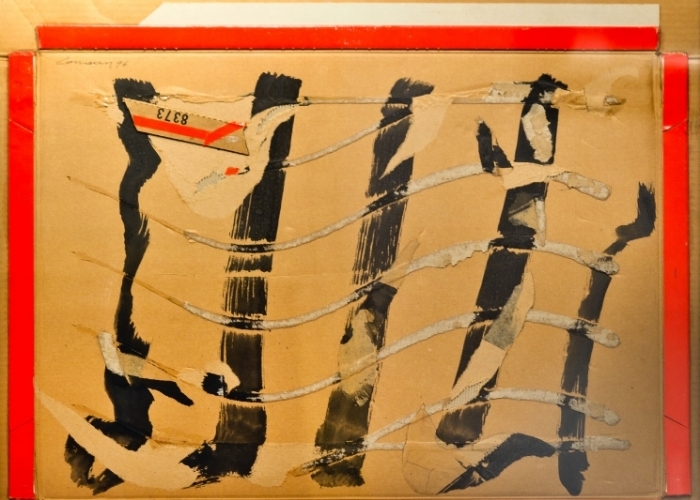 “Arte Povera“ Collection (1959 – 1963): Canaan’s rejection of the subject runs in parallel with his adoption of new artistic methods that give priority to the material and the technique itself. 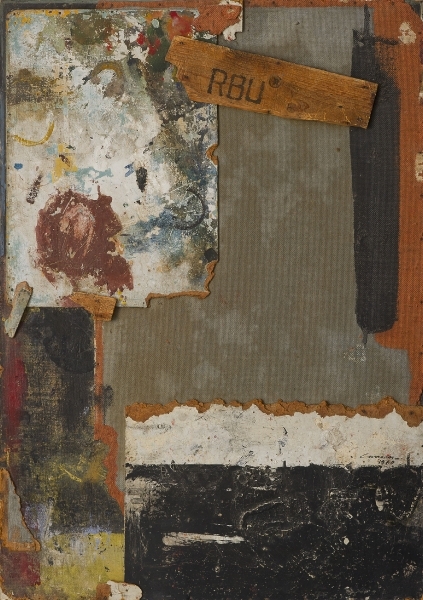 To Canaan, same as to Rauschenberg, “anything used by the artist equals the traditional use of colors”. 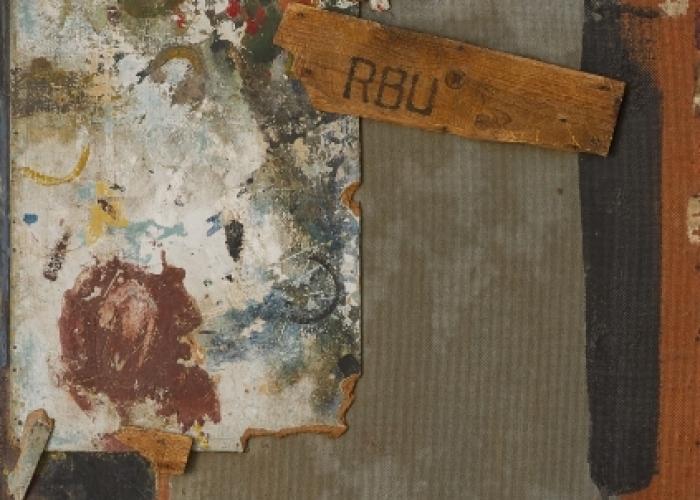 Based on this, Canaan’s color was kept to a minimal but always being mixed with many materials. 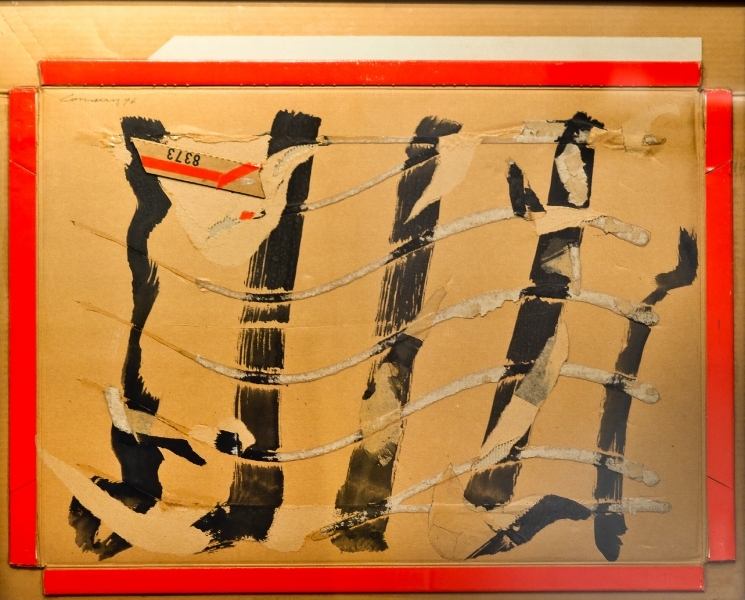 He used materials particularly wood to build structures and charging his works with strong emotions by using wooden boards or abstract boards which the more worn and older they seem, the more they reveal the substance of the material and its essence. 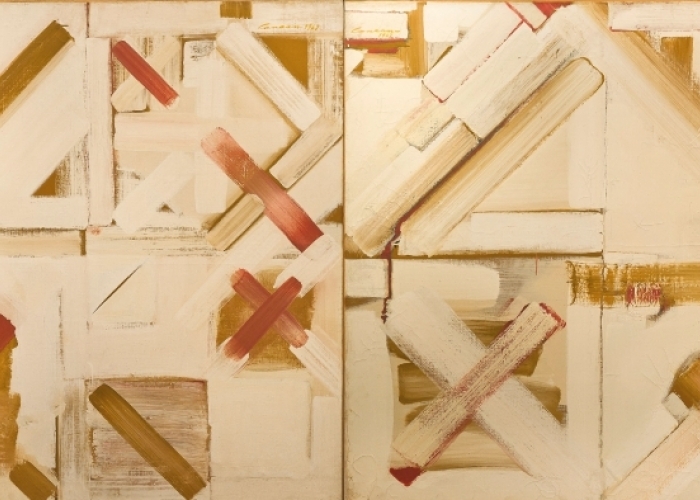 Canaan managed to cut down elements by mixing between areas covered by wooden pieces and empty spaces. 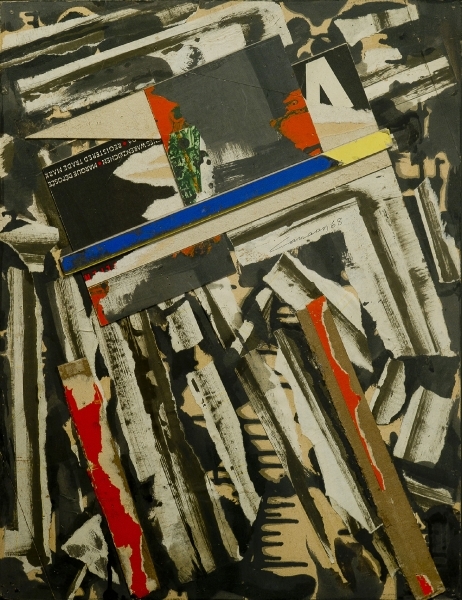 One of his wood works was chosen to be exhibited in the Museum of Modern Arts in Paris, its photo was published in “Le Monde”. 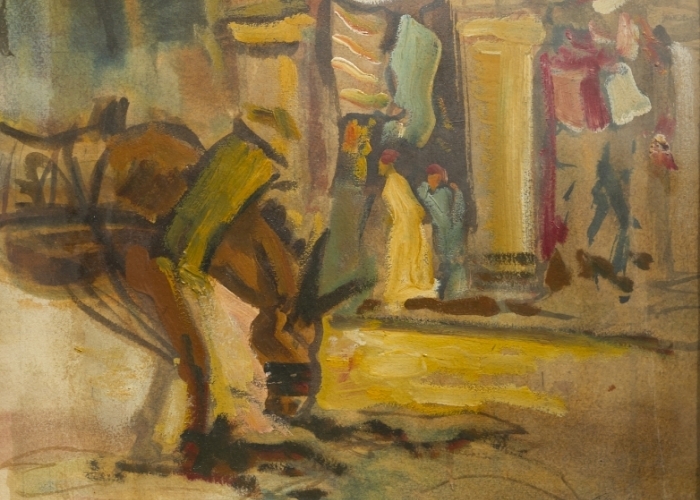 Commentary ran that this was an artist who had genuinely managed to achieve equilibrium and harmony, amidst a popular Egyptian ambiance, captured in a painting that is considered an avant-garde in modern art. 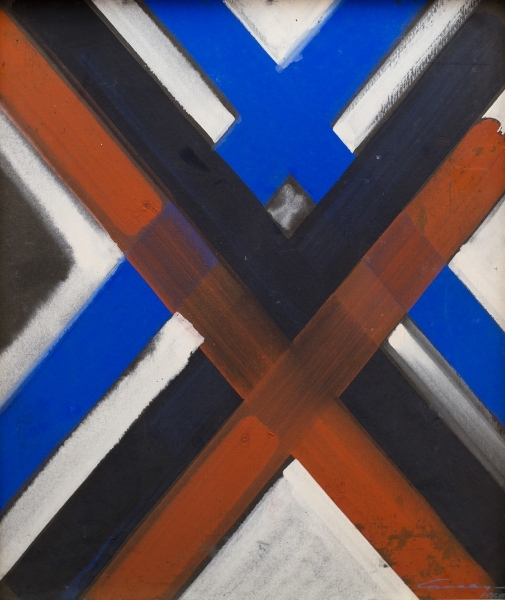 “Abstraction” Collection (1959 – 1969) was a new stage on Canaan’s life that involved raging colors, moaning blots and sighing spontaneous touches, ranging between violence and softness and hardness and smoothness. 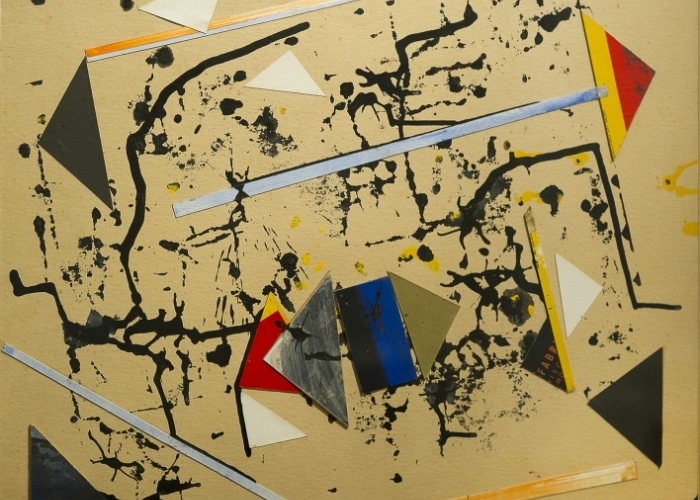 All this interacts in a purely abstract symphonic performance of plastic arts, leaving no room for diagnostic implication or intimation as this is direct talk to the inside and outside nature of things. 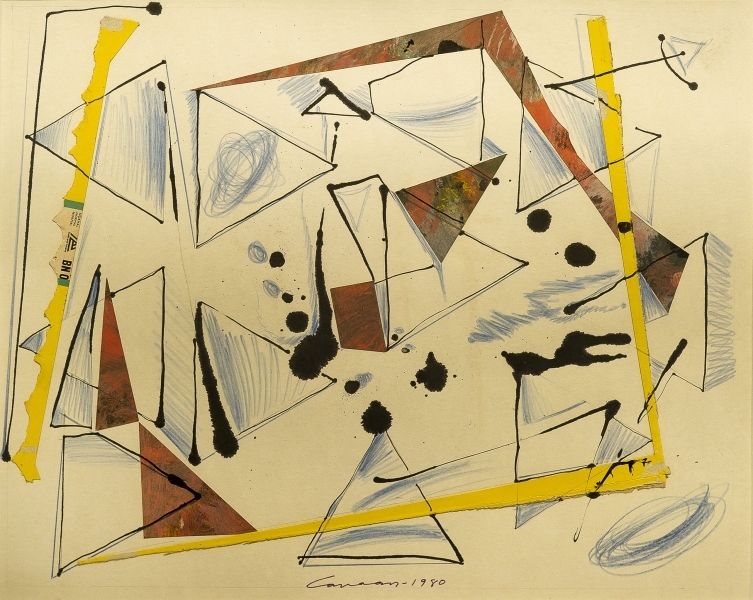 “Surrealism” Collection (1959 – 1963): Canaan expresses the use of a method painting to surrealism, his paintings aim at expressing what “stirs” the subconscious. 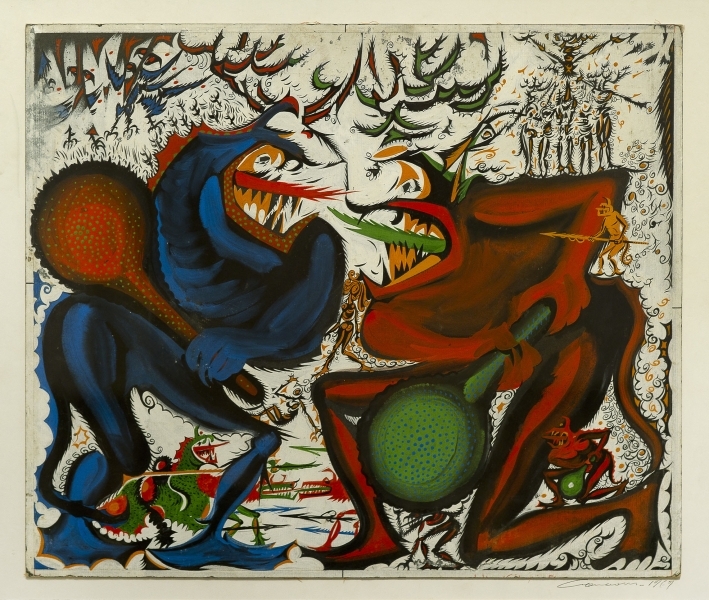 His inclination towards surrealism emerged when he visited the Mental Hospital thus producing many surrealistic paintings. 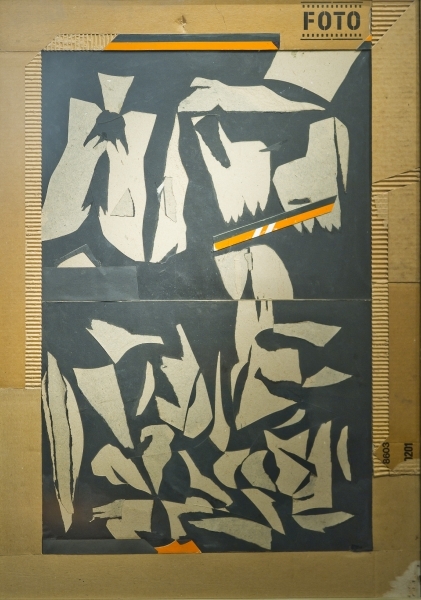 “The Wall” collection (1960 – 1964) was a stage that was clearly indicated by a painting called “The Wall” determining the separation from the Nubian stage. 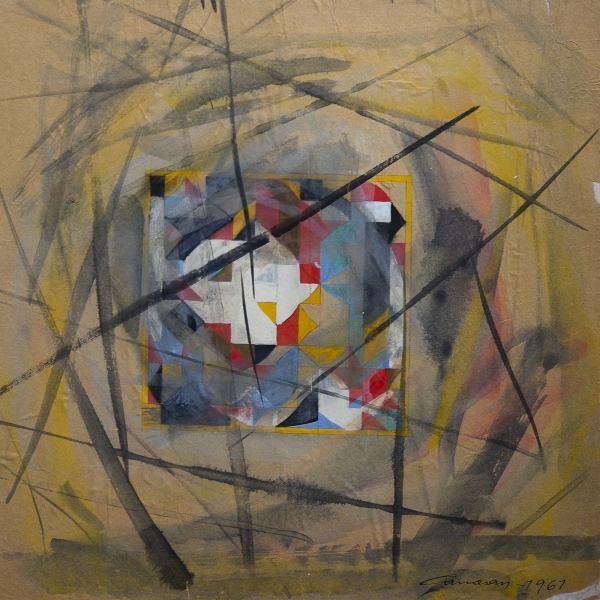 This painting witnessed independence of any topic and anything evolving there from. 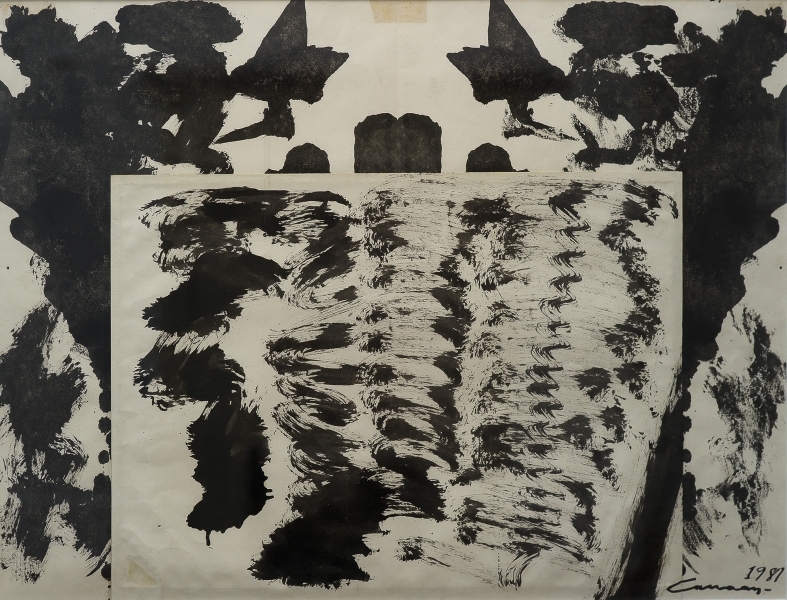 It becomes self contained, enclosing its starting and ending points, together with its methods and objective, to form an artistic painting. 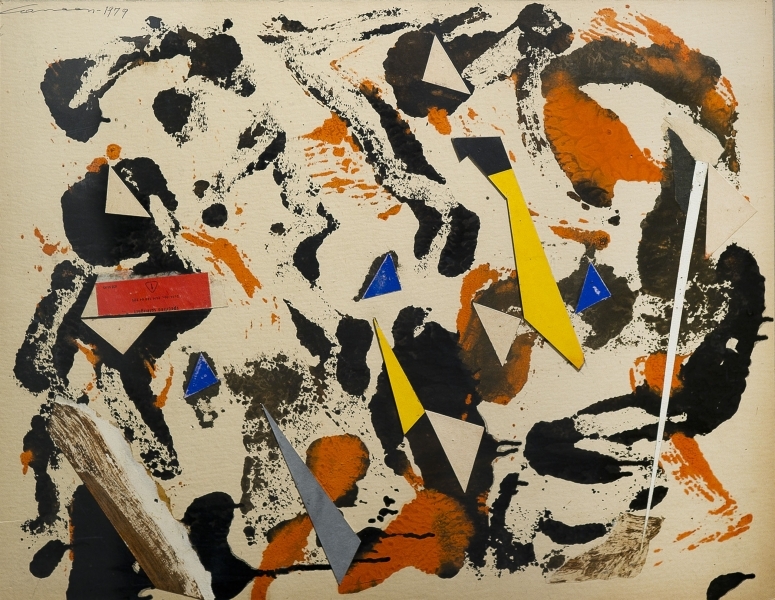 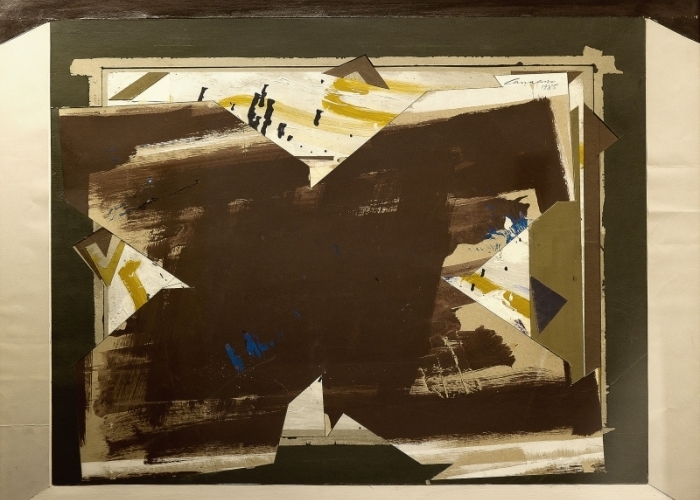 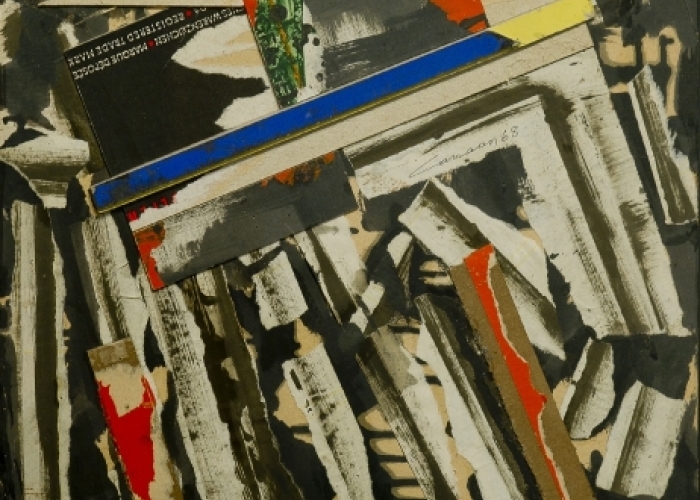 “Collage” Collection (1953 – 1970) was the start of a process that announced the birth of a new trend in Canaan’s artistic career, namely the art Collage making it as effective and impressive as those made out of other conventional materials. 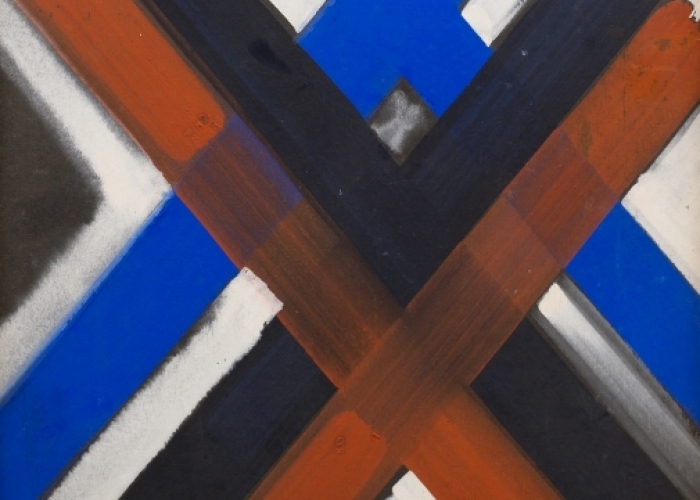 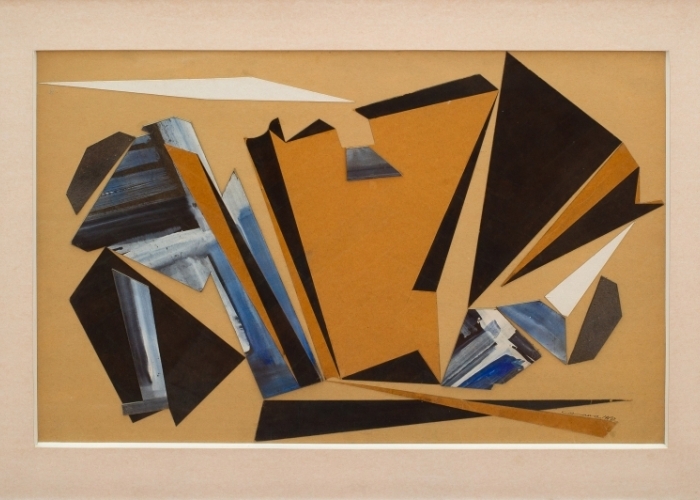 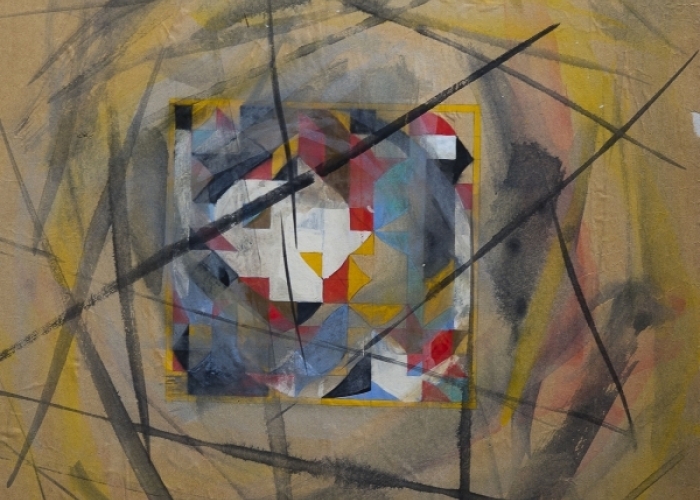 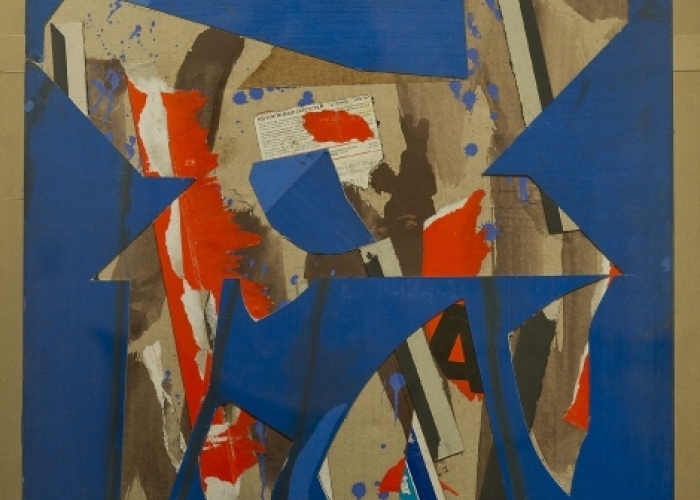 Geometric abstraction was the natural framework within which the clippings moved with exceptional freedom. 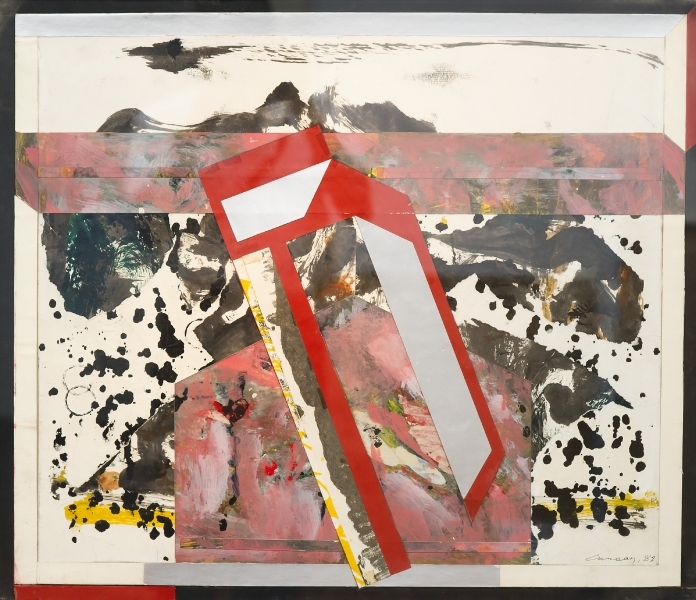 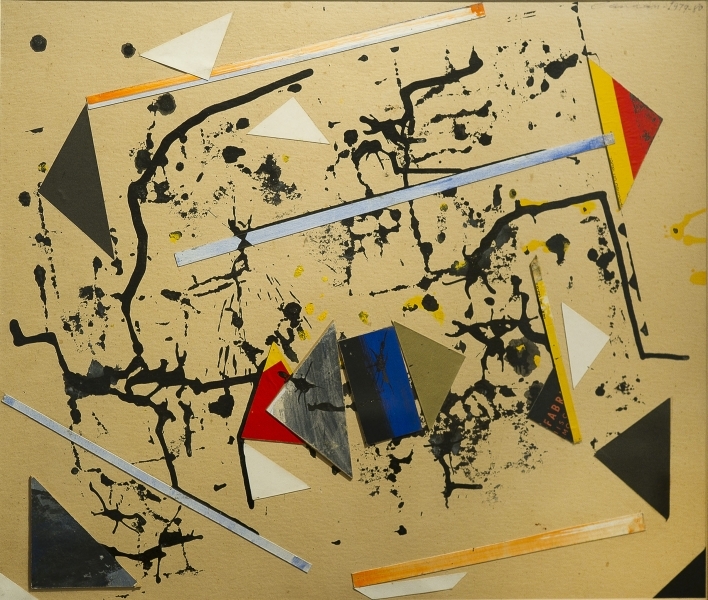 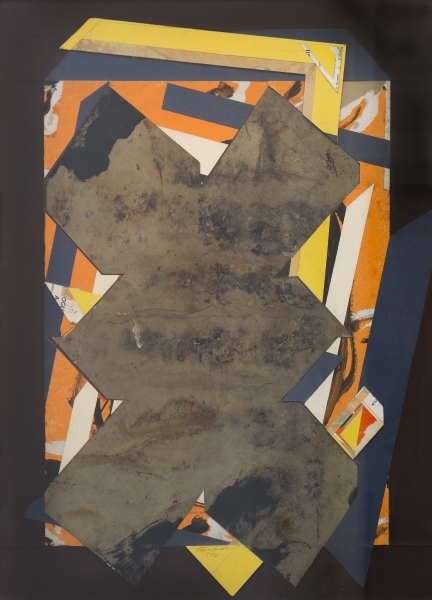 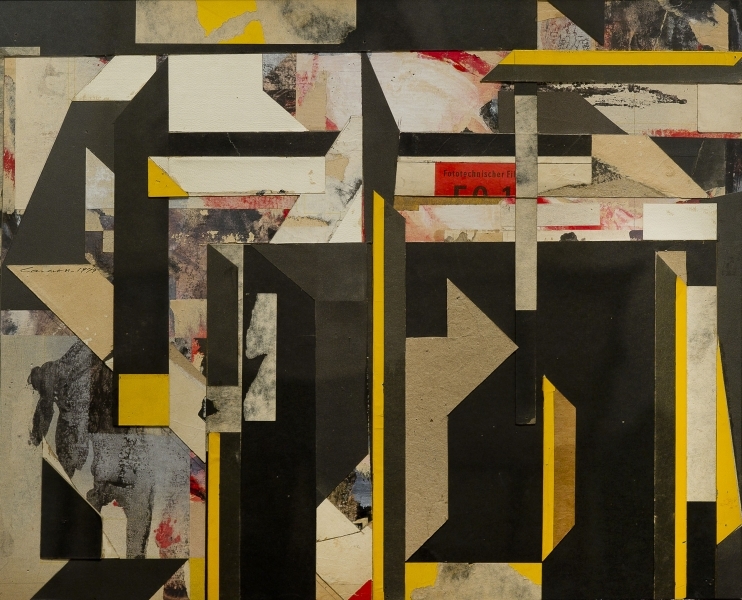 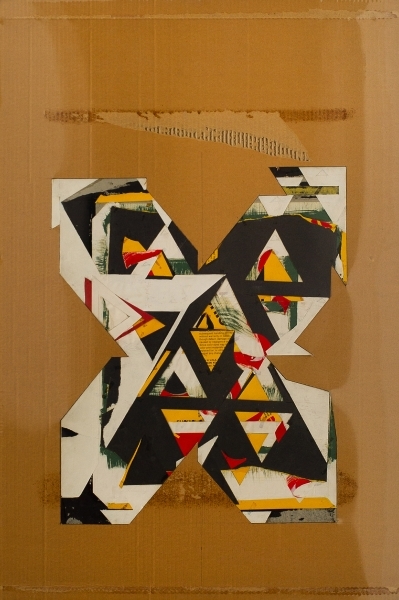 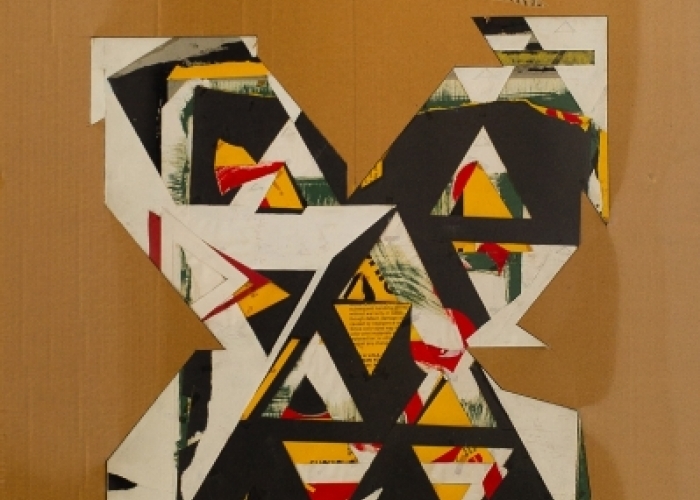 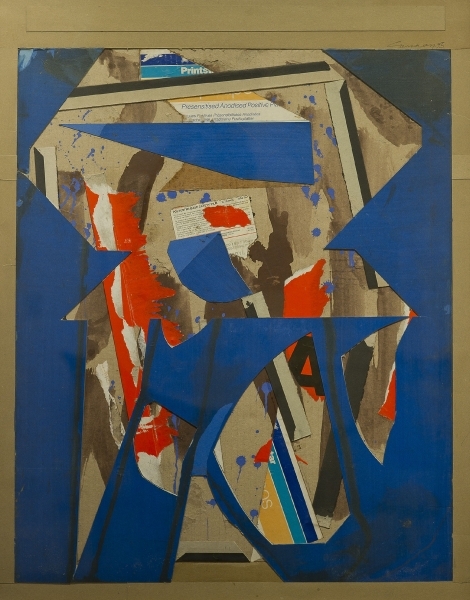 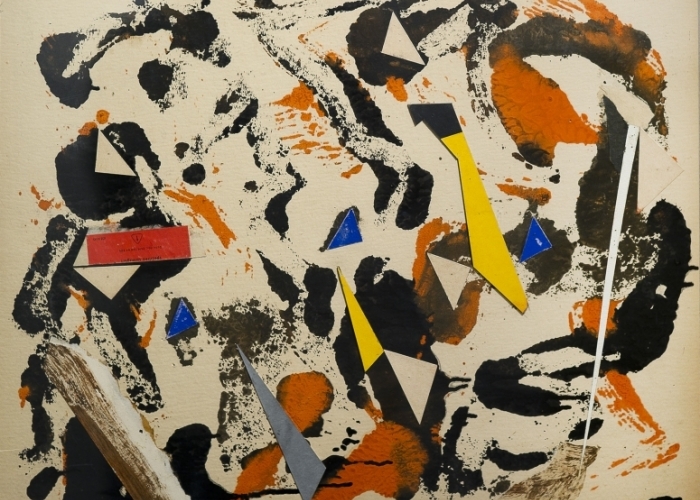 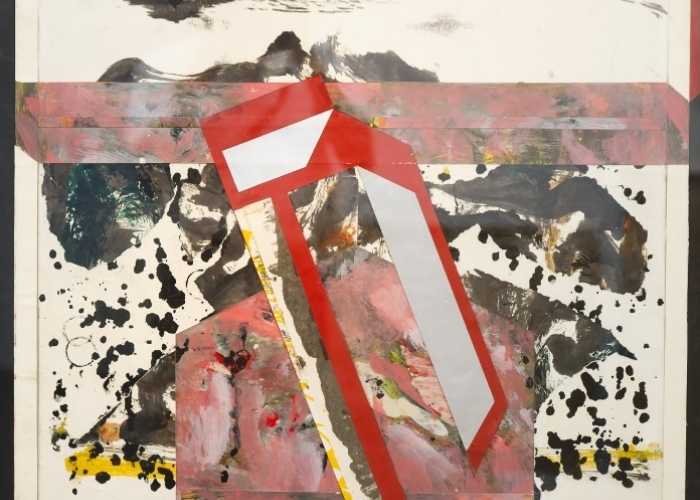 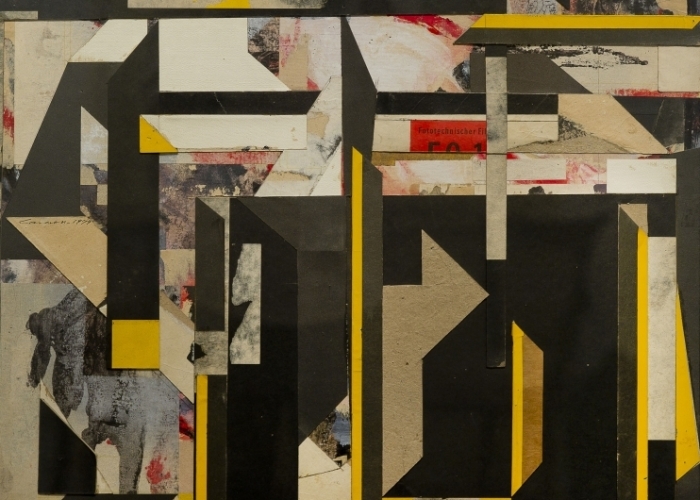 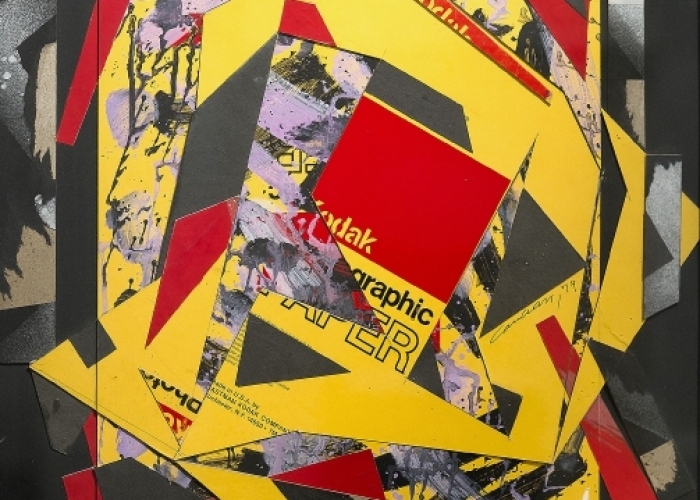 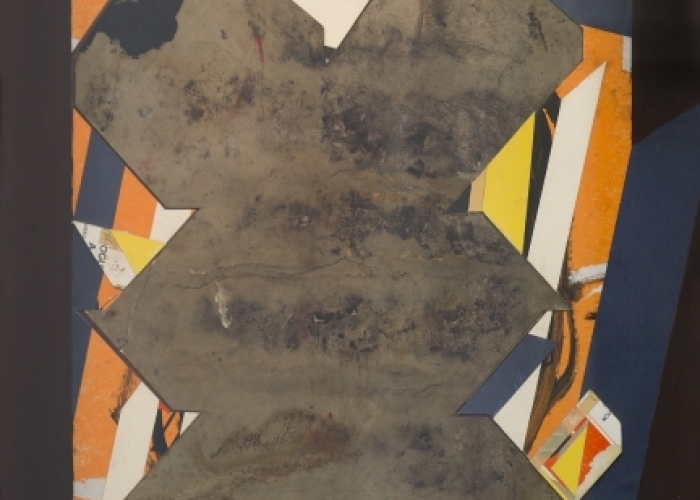 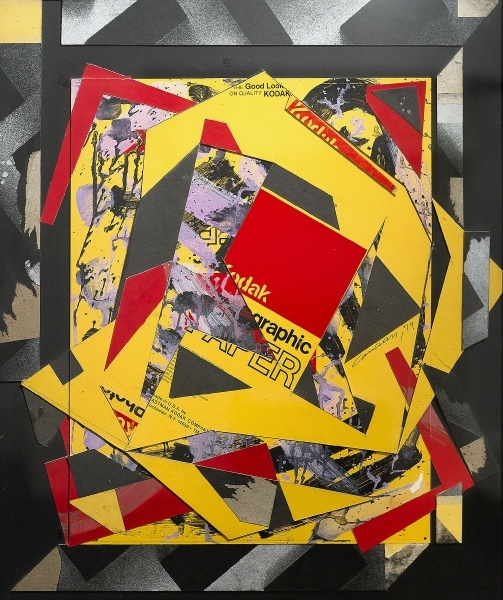 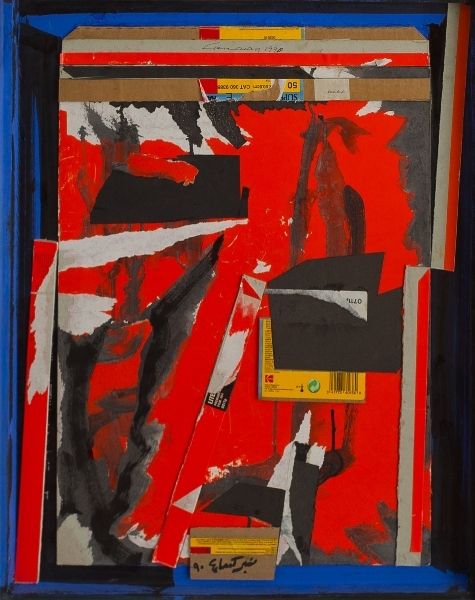 He continued his collage collection shifting to “Rhythmic Collage” (1970 – 1979) which was more characterized with complicated geometric forms & a thorough understanding of harmonious compositions. 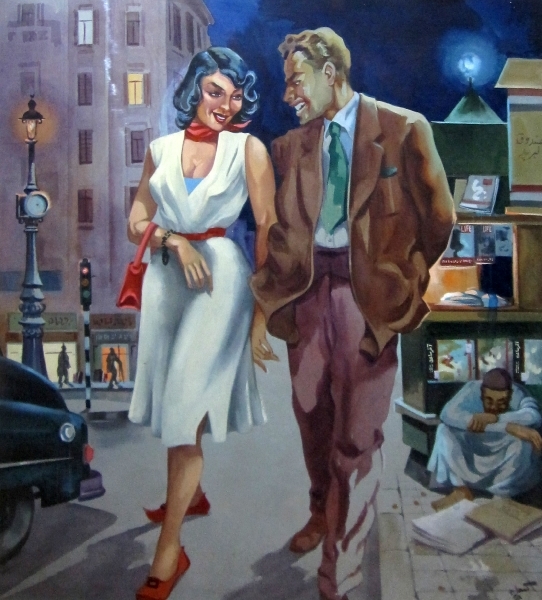 Here, the artist stands among pioneers of art in the world. 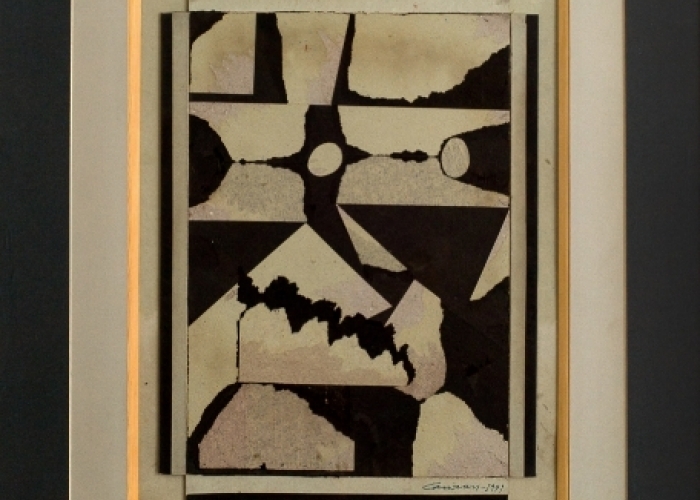 Works of Mounir Canaan come in abundance during the nineties, until he departs in 1999, leaving behind him an example of a life fully dedicated to art and marked with endless vivacity and creativity. 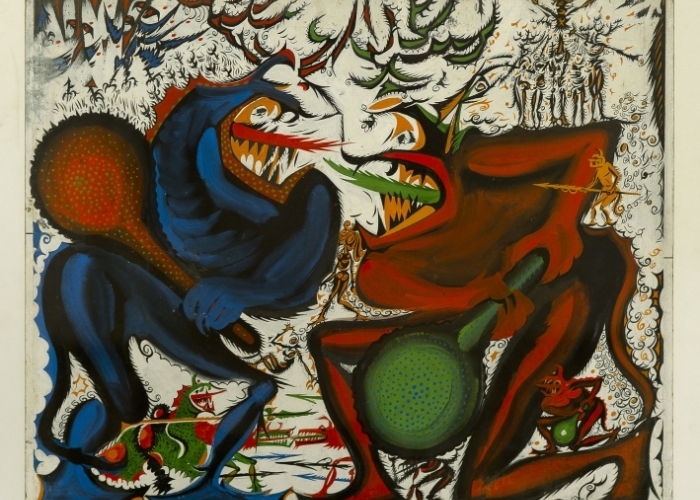 Mounir Canaan was an artist who had the guts since the early fifties to break the convention and go his own way managing to destroy the social taboo for the sake of his love and artistic conviction.